The Regulation A Bootcamp in Manhattan this Thursday, November 10th. For more information and to register, click here. The CrowdInvest Summit in Los Angeles on December 7th. For more information and to register, click here. (Use prom code “MARK30” for 30% off your conference pass). Both these events are going to be terrific, with a roster that reads like a who’s-who in the industry. I look forward to seeing everyone else there! A couple weeks ago, Howard Marks of StartEngine and I presented a webinar about Regulation A. Listeners asked far more questions than we were able to answer in the time given, and I promised to post their questions and answers on the blog. Here goes. What’s the difference between Regulation A and Regulation A+? There is no difference. Regulation A has been around for a long time, but was rarely used primarily because issuers could raise only $5 million and were required to register with every state where they offered securities. Title IV of the JOBS Act required the SEC to create a new and improved version of Regulation A, and the new and improved version is sometimes referred to colloquially as Regulation A+. But it’s the same thing legally as Regulation A. Can I use Regulation A to raise money from non-U.S. investors? Definitely. Non-U.S. investors may participate in all three flavors of Crowdfunding: Title II, Title III, and Title IV (Regulation A). But don’t forget, the U.S. isn’t the only country with securities laws. If you raise money from a German citizen, Germany wants you to comply with its laws. Can non-U.S. companies use Regulation A? Only companies organized in the U.S. or Canada and having their principal place of business in the U.S. or Canada may use Regulation A. What about a company with headquarters in the U.S. but manufacturing facilities elsewhere? That’s fine. What matters is that the issuer’s officers, partners, or managers primarily direct, control and coordinate the issuer’s activities from the U.S (or Canada). Is Regulation A applicable to use for equity or debt for a real estate development project? I believe that real estate will play the same dominant role in Regulation A that it plays in Title II. I also believe that real estate development will be more difficult to sell than stable, cash-flowing projects simply because of the different risk profile. Is there any limit on the amount an accredited investor can invest? No. An accredited investor may invest an unlimited amount in both Tier 1 and Tier 2 offerings under Regulation A. A non-accredited investor may invest an unlimited amount in Tier 1 offerings, but may invest no more than 10% of her income or 10% of her net worth, whichever is greater, in each Tier 2 offering. What kinds of securities can be sold using Regulation A? All kinds: equity, debt, convertible debt, common stock, preferred stock, etc. But you cannot sell “asset-backed securities” using Regulation A, as that term is defined in SEC Regulation AB. The classic “asset-backed security” is where a hedge fund purchases $1 billion of credit card debt from the credit card issuer, breaks the debt into “tranches” based on credit rating and other factors, and securitizes the tranches to investors. However, the SEC views the term more broadly. Can I combine a Regulation A offering with other offerings? In general yes. For example, there’s no problem if an issuer raises money using Rule 506 (Rule 506(b) or Rule 506(c)) while it prepares its Regulation A offering. The legal issues become more cloudy if an issuer wants to combine multiple types of offerings simultaneously. Theoretically just about anything is possible. Can the same platform list securities under both Regulation A and Title II? Yes. In fact, the same platform can list securities under all three flavors of Crowdfunding: Title II, Title III, and Title IV. But on that platform, only licensed “Funding Portals” can offer Title III securities. Does a platform offering securing under Regulation A have to be a broker-dealer? The simple answer is No. But a platform that crosses the line into acting like a broker-dealer, or is compensated with commissions or other “transaction based compensation,” would have to register as a broker-dealer or become affiliated with a broker-dealer. Can a non-profit organization use Regulation A? Regulation A is one exception to the general rule that all offerings of securities must be registered with the SEC under section 5 of the Securities Act of 1933. Non-profit organizations are allowed to sell securities without registration under a different exception. So the answer is that non-profits don’t have to use Regulation A. With that said, I represent non-profit organizations that have created for-profit subsidiaries that plan to engage in Regulation A offerings. For example, a non-profit in the business of urban development might create a subsidiary to develop an urban in-fill project, raising money partly from grants and partly from Regulation A. Can I use Regulation A to create a fund? If by “fund” you mean a pool of assets, like a pool of 30 multi-family apartment communities, then Yes. You can either buy the apartment communities first and then raise the money, or raise the money first and then deploy it in your discretion. If you want to own each apartment community in a separate limited liability company subsidiary, that’s okay also. If by “fund” you mean a pool of investments, like a pool of 30 minority interests in limited liability companies that themselves own multi-family apartment communities, then No. Your “fund” would be treated as an “investment company” under the Investment Company Act of 1940, and Regulation A may not be used to raise money for investment companies. Can a fund be established for craft beverages? Same idea. You could use Regulation A to raise money for a brewery that will develop multiple craft beverages. You cannot use Regulation A to buy minority interests in multiple craft beverage companies. For a brand new company, can the audited financial statements required by Tier 2 be dated as of the date of formation, and just show zeroes? Yes, as long as the date of formation is within nine months before the date of filing or qualification and the date of filing or qualification is not more than three months after the entity reached its first annual balance sheet date. How does the $50 million annual limit apply if I have more than one project? The $20 million annual limit under Tier 1, and the $50 million limit under Tier 2, are per-issuer limits. A developer with, say, three office building projects, each requiring $50 million of equity, can use Regulation A for all three at the same time. NOTE: This is different than Title III, where the $1 million annual limit applies to all issuers under common control. What does “testing the waters” mean? It means that before your Regulation A offering is approved (“qualified”) by the SEC, and even before you start preparing all the legal documents, you can advertise the offering and accept non-binding commitments from prospective investors. If you don’t find enough interest, you can save yourself the trouble and cost of going through with the offering. NOTE: Any materials you use for “testing the waters” must be submitted to the SEC, if the offering proceeds. Where can Regulation A securities be traded? Theoretically, Regulation A securities could be registered with the SEC under the Exchange Act and traded on a national market. But I’m sure that’s not what the listener meant. Without being registered under the Exchange Act, a Regulation A security may be traded on the over-the-counter market, sponsored by a broker-dealer. This sounds expensive! Can you give us an estimate? Stay tuned! A post about cost is on the way. Title II Crowdfunding, which allows issuers to raise an unlimited amount of money from an unlimited number of investors using unlimited advertising – but is limited to accredited investors. Title III Crowdfunding, which allows issuers to raise up to $1 million per year from anyone, including non-accredited investors. Title IV Crowdfunding, which modified the old Regulation A and is sometimes referred to as Regulation A+. Limits on Investment None For non-accrediteds, 10% of income or net worth, whichever is greater, per offering. Because of the exemption from State registration, most companies will choose Tier Two. Investment Companies Companies that own stock or other securities in other companies. Foreign Companies Issuers must be organized and have their principal place of business in the U.S. or Canada. Oil and Gas Companies Can’t sell fractional undivided interests in oil and gas rights, or a similar interest in other mineral rights. Public Companies Can’t be a publicly-reporting company. Companies Selling Asset-Backed Securities For example, interests in a pool of credit card debt. Earlier this month I had the pleasure of being interviewed by Reed Goossens, who speaks with a strange accent but knows a heck of a lot about real estate. 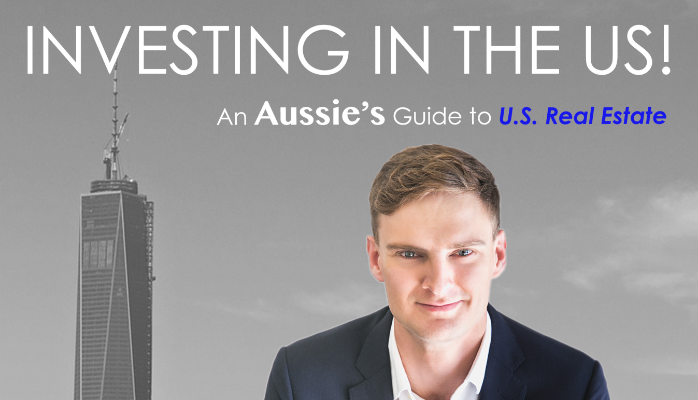 During the program, the third installment in Reed’s series on U.S. real estate syndication, I talked about raising capital from non- U.S. investors and other more general issues that face syndicators and investors. If you’re interested, you can listen to the podcast here. Last Thursday I joined Jack Miller, the host of “Down to Business” on 880 AM The Biz in Miami, for a discussion about Crowdfunding and what it means for entrepreneurs and investors. Jack is a terrific interviewer and an entrepreneur himself, and brings a great perspective to the subject. We had a lot of fun and might have even shed some light on this brave new world for Jack’s listeners. Caution: material not appropriate for all ages. RealCap Chicago will provide real estate entrepreneurs the opportunity to hear from the country’s leading real estate crowdfunding platforms. Attendees will learn how to raise debt and equity online for projects including “fix and flip” single family homes, multifamily complexes, commercial buildings, and ground up development projects. “The rapid growth of real estate crowdfunding platforms can be attributed to both the low minimum investments of $100 – $10,000 as well as the transparency which both developers and investors now benefit from as they compare terms and opportunities on platforms, and even across platforms, ” Jorge Newbery said. “The ease and speed of investing on the platforms is seductive. Online capital raising is the future of real estate finance.” There are over 75 real estate crowdfunding platforms active in the United States, which several additional platforms planning to launch soon. Click here for the full conference agenda. NAIOP is taking its fall meeting north of the border for the first time since 1996 and you won’t want to miss the energy and enthusiasm in one of Canada’s fastest growing cities. Toronto is home to NAIOP’s second largest chapter and is excited to host commercial real estate professionals from across North America at this leading industry event. DEALS: Nearly 1,000 industry and association leaders who’ve come together to share strategies, make contacts and learn new ideas. CONNECTIONS: Broaden your network in unlimited networking and business-building opportunities, including special events and receptions. Meet partners showcasing the latest innovative tools that can advance your business. TRENDS: 15+ education sessions, featuring nationally recognized speakers, trainers, and industry experts, who discuss timely topics and critical issues to your business. The internet has arrived in the capital formation business! In case you haven’t heard, Crowdfunding is a way to fund a project or venture by raising many small amounts of money from a large number of people, typically via the Internet. Explore its growth from small investments to large, how the process is managed, the risk and reward factors, and what the future holds. Learn about the potential for builders/developers and how New Jersey compares to other states. This very special event will sell out quickly and space is limited. Join us for the country’s first REG A PLUS Master Class training for professionals under the JOBS Act. We will kick off this event on Sunday night with a special Dinner for our sponsors and VIP attendees. This is your opportunity to learn from the best and the brightest experts in the industry how you can integrate this new securities offerings directly into the professional services that you offer your clients . And this will help you stand out as one of the first experts in Title IV of the JOBS Act, REG A PLUS in your city or state. This is a first mover advantage you don’t want to miss. Some say it will be a cold day in hell before Wall Street embraces Crowdfunding. If so, we were very nearly there Thursday, February 19th at the offices of the Citrin Cooperman in Midtown. Braving temperatures in the single digits and a gale blowing pedestrians north on Fifth Avenue, a large group of brave souls turned out to learn about Crowdfunding. Citrin Cooperman, to my knowledge the first accounting firm to specialize in Crowdfunding, co-sponsored the panel discussion with iFunding, one of the earliest and certainly one of the best real estate Crowdfunding portals. The panel was moderated by Harmen Bakker, a partner in Citrin Cooperman’s real estate practice, and included William Skelley, the founder and CEO of iFunding, and Mark Mascia, the President of Mascia Development. Mark actually wore two hats: one, as a developer who has used Crowdfunding successfully to raise equity for his own deals; and two, as an investor in Crowdfunding deals offered by other sponsors. As much as I try to know about Crowdfunding, I’m always amazed how much I can learn from the guys in the trenches, i.e., portals and developers. A product that allows an investor to choose where in the capital stock he wants to invest (e.g., mezzanine debt or preferred equity), depending on his risk/yield preferences. Wearing his developer’s hat, Mr. Mascia talked about the two Crowdfunding investment models, the first where investors come directly into the developer’s cap table and the second where the platform creates a special purpose vehicle for the investors. Each has advantages and disadvantages; for example, the SPV is great because the platform takes care of investor relations, but the direct-investment model gives the developer more “ownership” of the investor pool. The audience was smart but troublesome, typical of New York. For example, someone asked “What happens when a Crowdfunding deal goes sideways?” As if that could ever happen. To my mind, the most revealing fact is that iFunding – like the other top platforms, I believe – is funding deals within hours after they appear on the platform. Does this mean Crowdfunding investors are speed-readers, able to digest information about complex real estate projects between the main course and dessert? No. It means that Crowdfunding investors are relying on the portals. Legally and otherwise, that’s a really big deal. By the time we finished the temperature outside had climbed to 3. Thank you to Citrin Cooperman and iFunding for a great morning. Yesterday I spoke about Regulation A+ on a panel at the National Press Club in Washington, D.C. One topic was whether offerings under Regulation A+ would be “integrated” with other offerings, including offerings under Title II. The word “integration” describes a legal concept in U.S. securities laws, where two offerings that the issuer intends to keep separate are treated as one offering instead. For example, I raise $1 million in an offering under Rule 506(b), where I admit 19 non-accredited investors. Needing more money, I start another offering under Rule 506(b) a month later – and for the same project – and admit 23 more non-accredited investors. Wrong! The SEC says those two offerings are “integrated” and now I’ve exceeded the limit of 35 non-accredited investors. Today, entrepreneurs can raise money under Title II Crowdfunding only from accredited investors. Under Regulation A+ they’ll be able to raise money from non-accredited investors as well, vastly expanding the potential investor base. Unlike a Title II offering, however, where accredited investors can invest an unlimited amount, an investor in a Regulation A+ offering, accredited or non-accredited, will be limited to investing 10% of his or her income or net worth. The question naturally arises, why not do a Regulation A+ offering for non-accredited investors while at the same time doing a Title II offering for accredited investors, thus maximizing the amount raised from everyone? The answer, unfortunately, is integration. The two offerings would be treated as one, and they would both fail as a result. A Regulation A+ offering will not be integrated with an offering that came first. Thus, I can raise money in a Title II offering, accepting an unlimited amount from accredited investors, and the day after that offering ends conduct a Regulation A+ offering for non-accredited investors. A Regulation A+ offering will not be integrated with an offering to foreign investors under Regulation S. The two can happen simultaneously. A Regulation A+ offering will not be integrated with an offering that begins more than six months after the Regulation A+ offering ends. A Regulation A+ offering will not be integrated with a Title III offering, even if they happen at the same time. Another takeaway from the conference is that the SEC plans to finalize the proposed regulations under Regulation A+ by the end of the year (this year). Issuers and portals, get ready. For me, the CFGE Crowdfund Banking and Lending Summit in San Francisco was both eye-opening and provocative. Richard Swart of Berkeley, who described the past, present, and future of equity Crowdfunding around the world with his normal clarity and depth of data. Ron Suber of Prosper, who demonstrated in 45 minutes how he’s brought Prosper back from a near-death experience to create a $1+ billion business. Nikul Patel of Lending Tree, who described the business model behind P2P lending better than I’ve ever heard it described. To say I was honored to be among that group of speakers is an understatement. I spend a lot of time thinking where equity Crowdfunding is headed. You couldn’t sit through this conference without wondering where equity Crowdfunding and P2P lending are going to intersect. We’ll explore that further in future posts, maybe even get some experts to chime in, but if you’re a Title II portal it sure does seem there are lessons in the P2P model. I was thinking about that in a bar on Thursday evening when Travis Ishikawa crushed a three run shot to send the Giants to the World Series, and again on Saturday, while I pedaled a bicycle in blazing sunlight across the Golden Gate bridge and through Sausalito, Mill Valley, and Tiburon. There are worse places to think. Thanks to Andrea Downs and her CFGE team for a great event.